It is not usual for a Mint to put on sale the coins with which it experiments to get new and innovative pieces that will surprise the numismatic collectors. 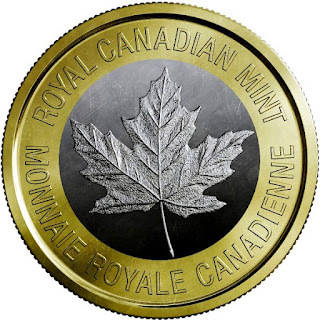 I received a press release from the Royal Canadian Mint announcing the sale of this type of trial coins, which will satisfy the desire of many to achieve something truly exceptional. We will know in more detail the coins that are already on sale and those that will be soon. Many of them are very curious and interesting. 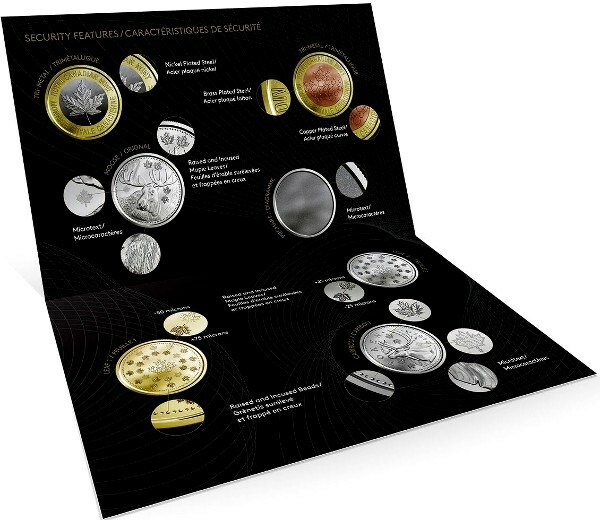 These new experimental products, which reach the collector directly from the bench of the Canadian Mint, offer a look behind the scenes of how the consolidated research and development teams of the Mint in Ottawa and Winnipeg constantly challenge. the limits of engineering and coin-coining technologies. On October 2 was issued the first of two products that show the latest technological incursions of the Casa de la Moneda. 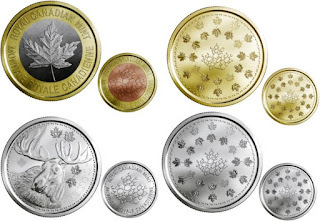 "The products in our collection are truly proven examples of advanced technology that could redefine the future of domestic and foreign currencies," said Dr. Xianyao Li, Technology Director of the Royal Mint of Canada. "I am very proud to work with talented experts in Ottawa and Winnipeg who are behind the leadership of the Mint in the coin sector and I am pleased that their achievements can be celebrated in public through the collection 'R + D Lab '"
This offer of new products consists of real experimental pieces that were developed while the Mint tests new technologies for future currencies. 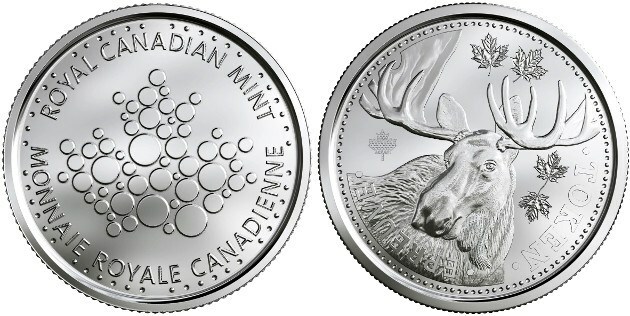 The first in the collection is the fine silver coin, concave on both sides, from 2018. 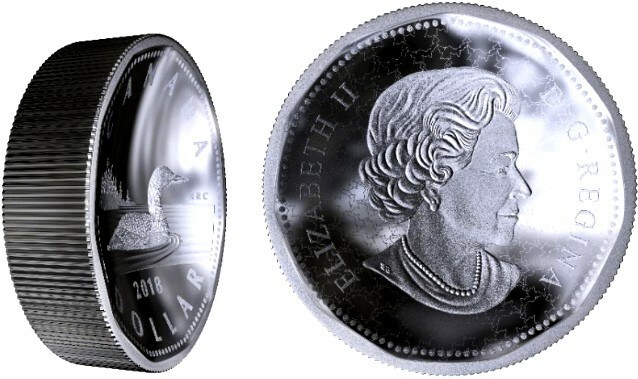 This impressive piece, which is engraved with the design of Robert Ralph Carmichael's large loon that adorns the currency of a Canadian dollar in circulation, is the The first 10-ounce silver dollar from the Casa de la Moneda. The coin is also a piedfort , which means it has an extra-thick edge, which is traditionally used when creating a special model of a smaller coin. The unique dimensions of the song allowed the Mint to work deep concave contours of more than 6 millimeters of curvature, both on the front and on the back of the coin. In addition, the coin comes in an exclusive protective capsule, concave on both sides, to help the collector appreciate its unusual and impressive shape. Only 112 of these impressive pieces were made, measuring 60 millimeters in diameter and sold to the public for 1999.95 dollars. The second piece of the collection is the R + D security test card set. It is a set of six pieces with special characteristics that highlight the absolute leadership of the Casa de la Moneda in the field of security on coins. The first coin of three metals from the Mint, with a brass-plated steel edge, a center of nickel-plated steel and copper-plated steel of the opposite side. Made with the multi-layered steel technology (MPPS) of the Mint, it expands the ability to manipulate the electromagnetic signature of a coin, and thus offers an element of covert security even more complex. 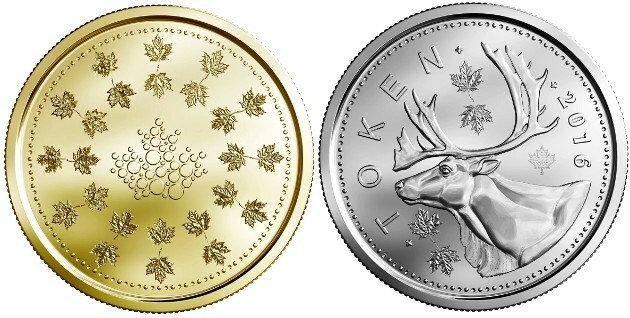 The cards Moose (maple) and Caribou (caribou), with microtext, raised and sunken maple leaves and points engraved in relief and hollow around the circumference. 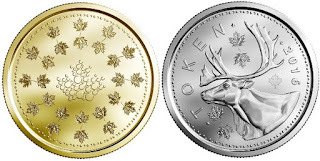 The microtext of these tiles is hidden in the skin of the animal and also creates the shape of the maple leaf that appears above the base of the neck; a pair of MPPS cards engraved with the official logo of the Casa de la Moneda (one with a brass finish and the other with nickel) that also have the motifs of maple dots and leaves engraved in relief and hollow. And a pie chart that uses several groups of microtexts to create well-marked sectors. When viewing the tab with a large increase it can be seen that the different shading was done with microscopic letters using laser technology. The microtext can be less than 50 microns. 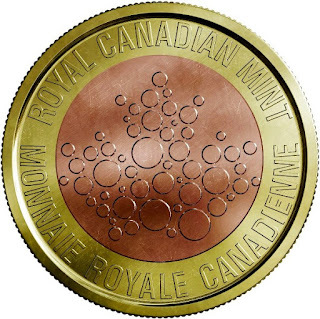 The Royal Mint of Canada is responsible for coining and distributing the Canadian coins in circulation. This corporation with ISO 9001 certification is recognized as one of the largest and most versatile mints in the world; offers a wide range of specialized and high quality coined products, as well as related services on an international scale. For more information on the Mint, its products and services, visit www.mint.ca . 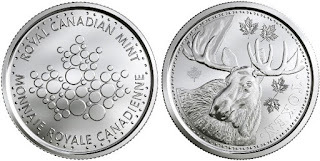 The online shop of the Mint of Canada does not ship to Spain. A possibility for those interested in acquiring any of these coins, although I do not know if it will be for sale, is to contact the official distributor here in Spain and ask.